In its recent ruling in Fisher v. Texas, the U. S. Supreme Court upheld race-based affirmative action in university admissions in theory, but opened the door to future constitutional challenges. 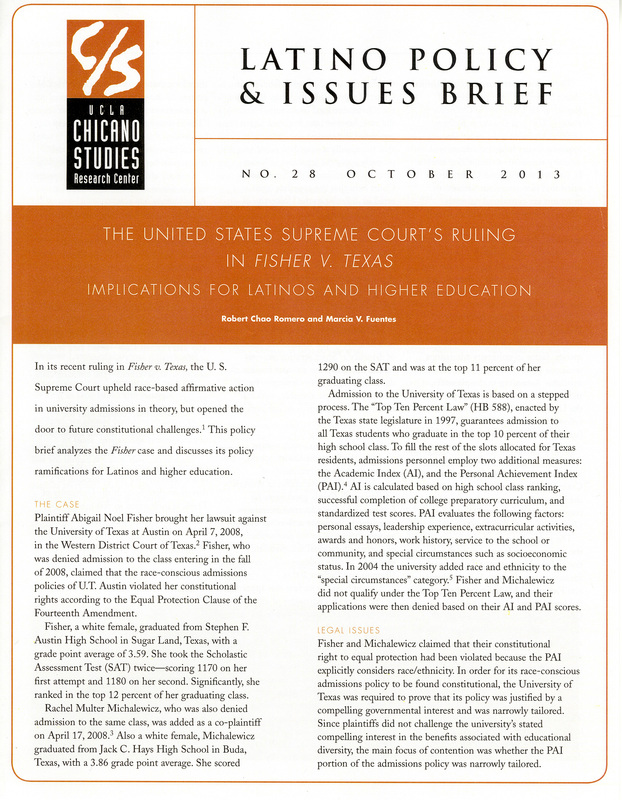 This policy brief analyzes the Fisher case and discusses its policy ramifications for Latinos and higher education. This Latino Policy and Issues Brief was prepared in conjunction with the eighth annual CSRC Latina/o Education Summit.